Known for his genetic research, biochemistry scientist and Stanford University professor Patrick Brown has created a plant-based hamburger that ‘bleeds’ just like a meat patty cooked medium-rare. With it, he aims to not only upend the trillion-dollar animal farming industry, but also create a more sustainable burger experience amid mounting environmental pressures. His Silicon Valley startup Impossible Foods wants to win over meat-lovers by providing plant-based products that taste just as good as the real thing. They do this by recreating – and improving on – the meaty taste from a molecular level. Wheat protein, potato protein and coconut oil won’t satisfy a carnivore, so ‘plant blood’ is created through the inclusion of heme, a molecule found in high concentration in animal blood. It has a distinct iron flavour. However, rather than sourcing this from animals, Impossible Foods extracts it from the roots of legume plants and soybeans and then fermenting genetically enhanced yeast. 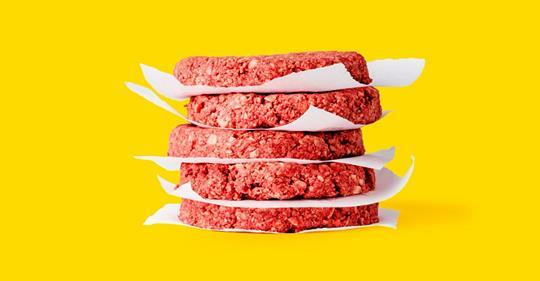 The rise of Impossible Foods and its potentially game-changing product correlates with the growing sales of cruelty-free faux meat market options. Its rejection of Google’s $300 million buyout offer – which was reportedly too low – is an indicator of the rising interest in investment in new sources of protein. Microsoft founder Bill Gates, Google Ventures and other notable investors have already backed the company with $75 million in funding. Adapted from a piece by Ben Horne for the Futures Centre. Tags: Agriculture, Animals, Meat substitutes.